I received my Bachelor of Dental Science from the University of Western Australia in 2005, graduating with honours. Since then I’ve been working at Southern Dental Care and have been fortunate enough to take over the practice. I chose dentistry as my life’s work because of the varied challenges that it presents. I love using my hands and the combination of artistry, engineering and problem-solving skills required each day to help my patients and see their smiles transform. I have a special interest in rehabilitation of extremely worn and damaged dentitions as well as aesthetic makeovers and oral surgery, including the surgical removal of wisdom teeth. Outside of dentistry I enjoy working out, swimming and basketball. I’m a football tragic and an avid fan of the West Coast Eagles! 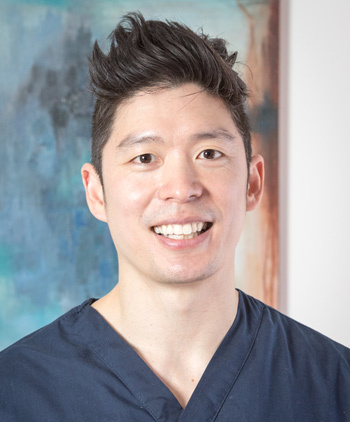 As a member of the Australasian Academy of Dento-facial Aesthetics, Daniel enjoys helping his patients see immediate results from their dental and dentofacial services. He is also a member of the Australian Dental Association. Get to know Daniel and the rest of our friendly dental staff by contacting us today. New patients are always welcome to our family.